Dr. Larson is a plastic surgeon seeing patients at Fort HealthCare’s Specialty Clinic, He takes pride in the reconstructive aspect of his surgical specialty. He believes in building strong, personal relationships with his patients and making himself available whenever they need him. As his patient, he will work with you in an effort to not only identify your goals for surgery, but to meet and even surpass expectations. Dr. Larson performs the full spectrum of plastic surgery and has additional training in reconstructive microsurgery and aesthetic surgery. He specializes in face lifts, Botox, skin grafts, melanoma removals, breast reconstructions/implants, and nerve and vessel reconstruction. 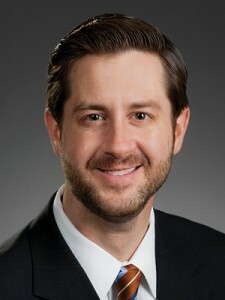 Dr. Larson’s broad experience makes him uniquely suited to meet all of his patients’ needs. Outside of work, Dr. Larson enjoys spending time with his wife and children. He is an avid sports fan, golfer and casual musician. Plastic Surgery – Plastic Surgeons focus mainly on reconstruction of defects following cancer treatment, trauma and congenital abnormalities, but may also evaluate for breast reduction and breast reconstructive surgery.